Woo-hoo! First knitting FO of the year! 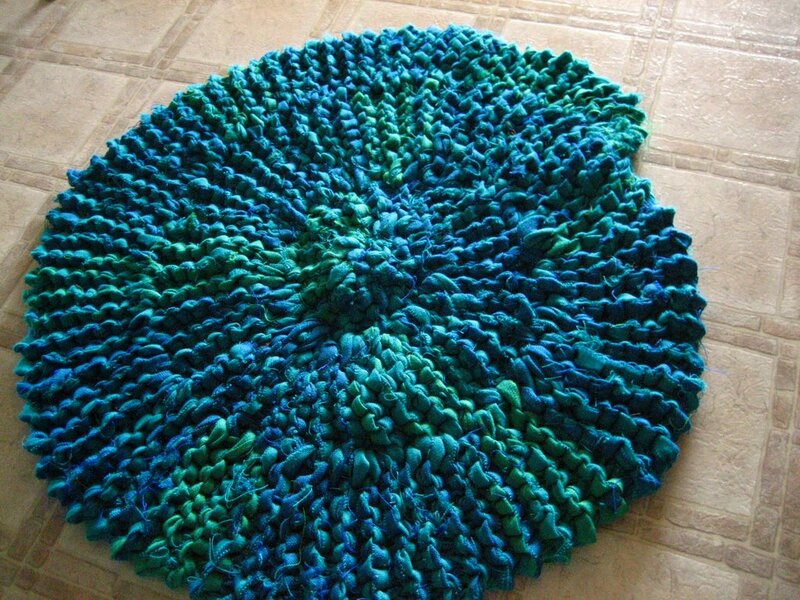 "Dizzy Rug" from Mason-Dixon Knitting. 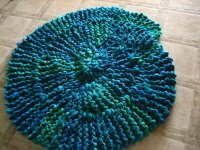 Very easy and quick to knit. This project is a definite plus if you are into instant gratification! I love the end result. It's now sitting in our entrance way in front of our bookshelf. 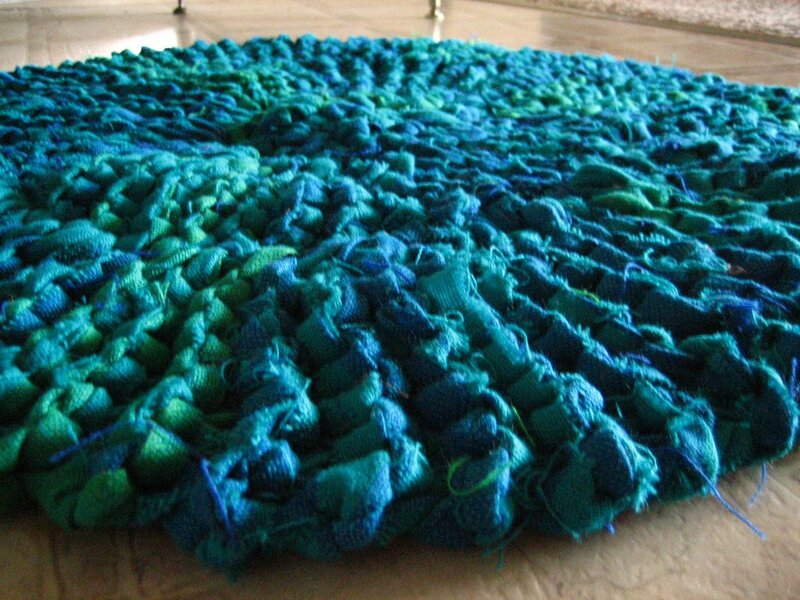 Knitting a rag rug is hard on your hands. The rag/yarn is heavy which makes movement with the needles a tad difficult. Also, instead of showing a contrasting color when stitching the rug together (which is in the original pattern) I opted to seam the rug together so the stitching wasn't visible. 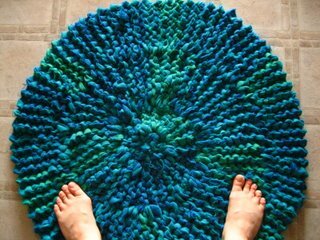 I originally had a dark chocolate brown as the contrasting color but decided the rug looked more seashell-esque without the brown. posted by Venus @ 7:48 a.m. The rug is gorgeous! I am so coveting it! 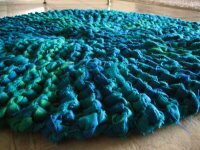 Awesome rag rug! I really like the blues and greens. Wow, I love it! I have some polar fleece fabric that I cut into strips to knit a hat from, but I haven't done the knitting yet. I should dig that up and give it a try.